Corn – What’s in a Name? At BC Farm Fresh we’ve been getting a few questions about corn; people looking for old favorite varieties and familiar names. We came across this great blog from Lepp Farm Market that’s a veritable corn-cyclopedia. Now you know the truth behind all different varieties of corn. All that’s left is to enjoy them! Now let’s talk about Corn. First, there is no such thing as “Chilliwack” corn. 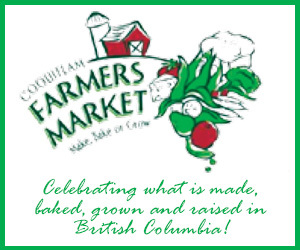 It’s not a variety, it’s only… wait for it… corn grown in Chilliwack! And they grow the same varieties we grow here in Abbotsford. Peaches and Creamcorn was one of the first, and most popular, bi-color corn seed available on the market many years ago, and the name has stuck. 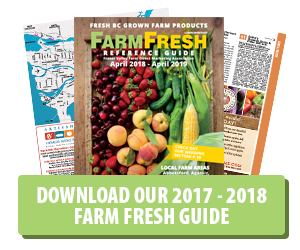 However these days, when Farmer Rob’s corn catalogue lands with a thump on his desk, it contains well over a hundred different varieties of corn, none of which are called Peaches and Cream anymore. The same holds true for Jubilee When you see signs advertising Jubilee corn, they’re really only using a name familiar to people (mostly those over 40 years of age) to tell you that it’s an all-yellow corn. If you tasted an actual cob of Jubilee corn, the one grown when I was a child, you’d probably spit it out, as it would taste starchy with very little sweetness. The old standard corn varieties converted the natural sugars into starch immediately after picking and unless you grew it in your own garden and cooked it immediately, it would be tasteless by the time you brought it home from the market. 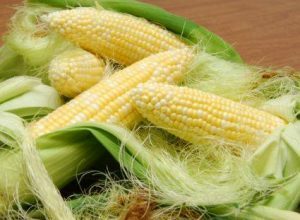 Through years of hybridization (NOT a genetic modification process) they have introduced hundreds of new varieties of sweet corn that hold their sugar content for a much longer shelf life than the corn of years ago. These are divided into two main groups- supersweet and sugar enhanced. The supersweet varieties germinate better in cooler temperatures and so these are our first varieties that we plant, and the supersweet (and yes, they are incredibly sweet) make up the bulk of what you find on the market. While you may argue that you find the all yellow sweeter than the bi-color, it really comes down to whether it’s a sugar-enhanced, or a supersweet variety. One more fun fact: the tassel of a corn plant is where the pollen is produced and its spread by the wind to the silks of the ear, which means that each silk will produce one kernel. If you could count the silky strands, you would know how many kernels there should be on the cob! That one always wows people, so please feel free to use that to impress your friends at your next party.